When applying to college, students at HSLPS receive a lot of support from the college office, the College Success Center, and The College Summit. All students at HSLPS are college bound. Meetings about college begin early in a student's Freshman year when Ms. Perez and Ms. Santos begin working with students to build a college resume. 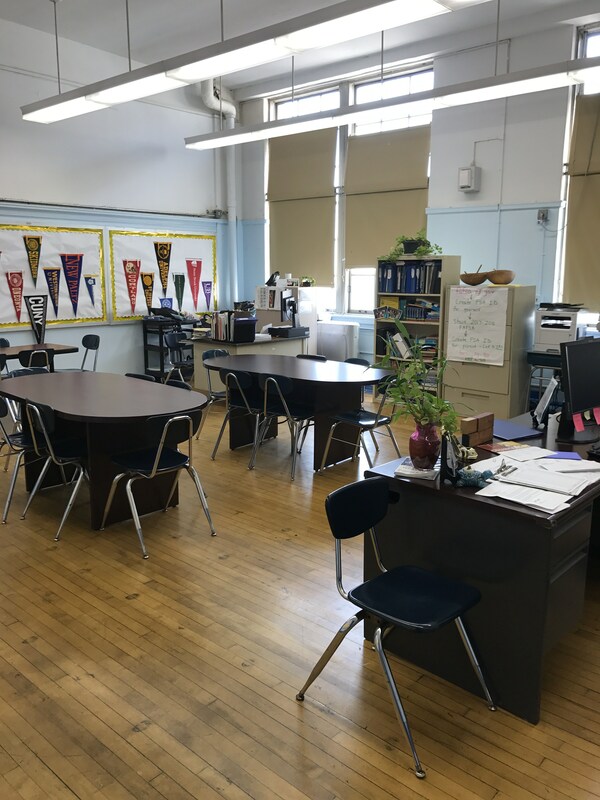 Located in room 405, this office is where you can find Ms. Perez and Ms. Carey, our college advisors and Ms. Santos, our student service coordinator. This office also provides a work space for students with computers available and access to other college resources. Provides college exploration and preparation, career exploration, and student leadership training. We put young people at the center of our dialogue to identify what they need to improve access to college. A team of youth leaders are trained to share college information with their peers.